To celebrate my first year of blogging, I decided to share with you some of the things I love, or have loved in the last year. It's the reason the first giveaway was an Unravel 2012 ticket - Unravel 2011 was my first real initiation into gorgeous yarns and the real arts of spinning, dyeing, knitting and crochet. If you've been here from the start, you'll know that I've been reading Mollie Makes magazine since the first issue, which I happened to read about pre-launch as Tiff Fussell, one of my favourite bloggers aka "Dottie Angel" was featured in it. Over the months, there were one or maybe two issues which were not quite as exciting for me - mostly due to having too many felt creatures or adverts in them - but I've been inspired by a lot of things between the Mollie Makes covers and have made several things from it or inspired by it, including these little cuties which were both from the first issue. 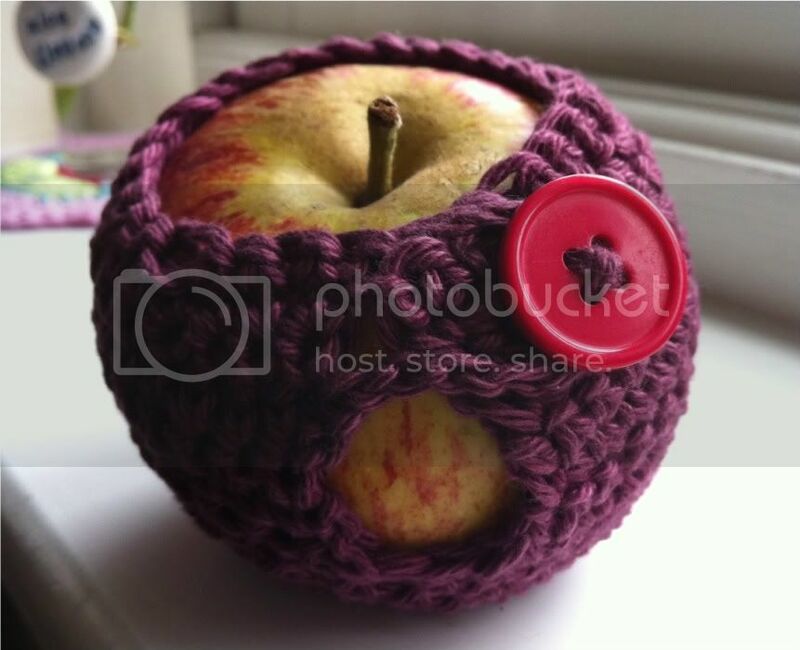 iPhone Cover (kit) & Crochet Apple Jacket - my 1st EVER crochet item! 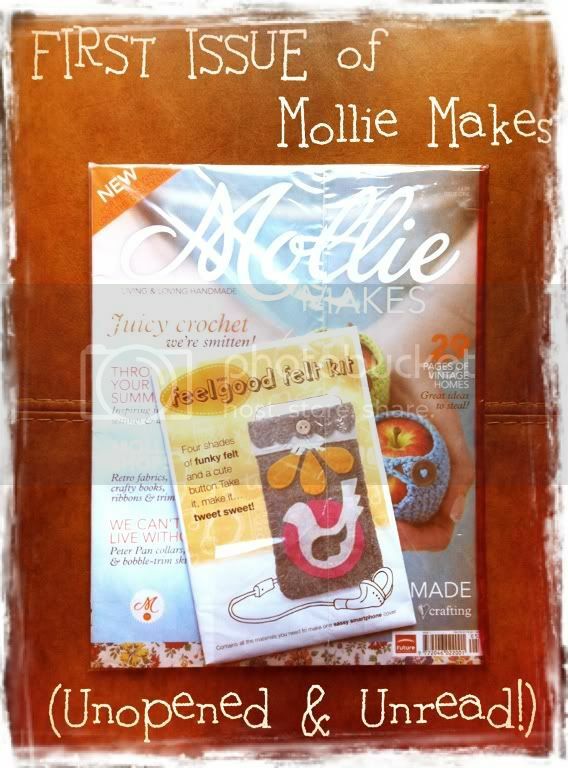 So, to share the love, my second Blogiversary Giveaway is an original copy of the much coveted 1st issue of Mollie Makes - still in the original packaging which is unopened and includes the free gift - the kit to make the iPhone cover. I'm hoping that it will make one of you lovely readers happy, especially as the rare early issues are worth quite a lot on auction sites! Over the last few weeks I've been really touched that so many people have visited and commented while I was unwell and in hospital - a comment from Chrissy at Stitched Together to the effect that she came for the crafts, but stayed for the rest too made me stop and wonder what you all like to read about and the type of posts you like the most. And I'm hoping this is my chance to find out! To be in with a chance to win this prize, please leave a comment below including a link to your favourite post from this blog and why you like it, by midday on Wednesday 29th February (GMT). I am happy to post this prize to ANY country, so please just make sure your entry includes a way to get in touch. One entry per person. Please feel free to share this post. Hitchhiker progress update tomorrow, hope to see you then! I love everything you post so it's hard to pick out just one post. Obviously I love your crafty posts, but what I find really interesting is the woman behind the needles. Your Snippets (of life) posts are great and I get a bit of an insight into your life. One post that springs to mind is the one where we got to see a part of your crafting area. I remember making a mental note to have "craft room" on my "would like" list, for when we move house. Somewhere just for me to kick back and knit/crochet in peace, that would be heaven! I love all of your posts!! Please don't make me choose. Ok, I'll try. Let's see, if I have to pick, I think it would be the posts about your little Pixie. I love all of the little poses and the things you have made for her. Thanks for the chance to win. I have been wanting this mag forever but it is just to expensive for me to buy from the US. Have a great day. Mollie Makes!!! It is so hard to come by here in the Netherlands and there isn't really something like that in Dutch. I would love that price, although it WILL be read haha. So there goes the collectors value :p. Anyhow, I enjoy many of your posts and in the beginning I was just a "silent" reader. A lot of knitting going on here and I didn't knit at first. So I just didn't really know what to comment. But...things changed. Ever since the One a day group I felt right at home here. Then I saw your hexipuffs, my oh my, I should really start knitting! And so I did and now I'm an addict :p. So, my favorite post is "A one a day quickie". Who doesn't love a big pile of hexipuffs! But really, the thing I love about your blog is not one post. I love the diversity of your posts. Knitting, crochet, your kids, your hubbie, your daily routine, I love it all! I remember the first post I read on you blog: It was the dress you made from an old shirt. It was a summer dress with a crocheted brim on top. I tought it was lovely. And I also remember the headband you made for yourself. I've just looked through all the post to tell you which post it exactely was, but I couldn't find it. anyway, happy bolgiversary and lots of ideas for new projects. I originally came here for the crochet posts, but I love reading everything you post. You always give me nice comments on my blog and via Twitter, and I love that :) It's always nice to find new bloggy friends and I definitely consider you one of them! I love the way your hexipuffs look all laid out like that...it's inspired me to get back to the project (I got distracted by Christmas knitting and so only have three). Hi there, this is the first of your posts that I have read (so it is therefore my favourite too!) 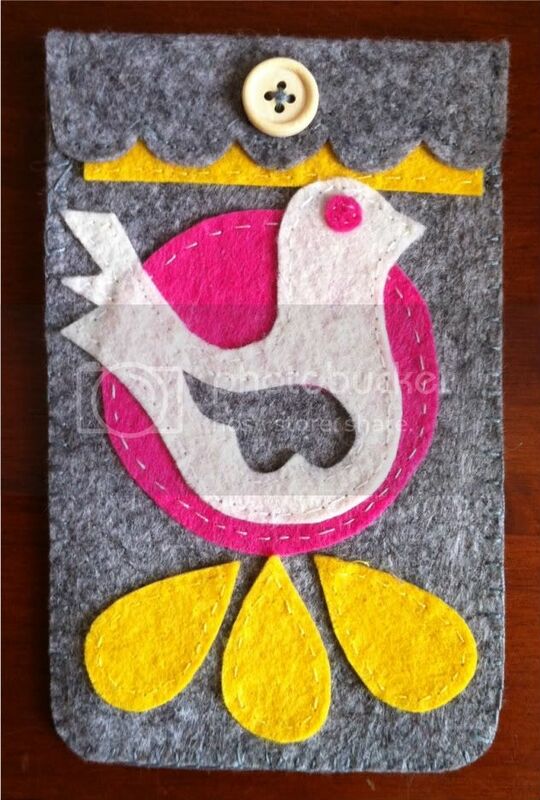 I stumbled across it by googling "Mollie Makes" after buying my first issue of the magazine at Tesco tonight. I was initially attracted by the free Babushka doll keyring on the front and, having flicked through it, I just couldn't put it back on the shelf! I love the nostalgic feel of it and am keen to make the keyring (I've already printed off the online template). I've enjoyed rubber stamping and cardmaking for a few years now, but I think I'd like to try fabric crafting too! I've had a look on ebay for back copies but as you rightly say they are really expensive! I've subscribed online though so I won't miss any more copies - really wish I'd spotted it a year ago! I'm looking forward to seeing your finished projects from issue eleven and any hints you can give with fiddly bits! Haven't succumbed to 'Mollie Makes' at the newsagents yet! So this would be a great chance to check it out! Unravel looks to have been awesome! Hi I love all your post, and youve inspired me to drive 120 odd miles to go to next years unravel. Ive had difficult year and reading blogs like yours to inspire me, has keept me sane. Thank you for blogging. Good morning, I cant believe that I have only just found you! Your writing style is very infectious and I think I will be here a while:0) all I can say so far is, your kids are adorable and I am glad you feel better. Entry is now closed and I'll be contacting the winner for their postal details.